CNS Canada – Organic crops now in the ground in Western Canada look decent, outside of the worst-hit areas where dry conditions will likely cut into yields. But the situation could have been much worse, say organic buyers who are watching crop progress closely, were it not for strong soil moisture reserves built up from last fall. “That’s the only thing that’s been holding the crop all over the Prairies, that is subsoil moisture,” said Glen Neufeld, owner of Sunrise Foods International, based out of Saskatoon. “Even lentils are probably hanging in there for even half a crop down in the south,” he said. Lack of precipitation and heat has been blasting crops, especially in southern Saskatchewan and Alberta. Manitoba and central to northern areas throughout the Prairies are faring better, although most could still use more rain. Neufeld has heard reports of very good organic crops west of Saskatoon to the Battlefords, and very good prospects for organic crops from Saskatoon east to Humboldt and Yorkton. He said the Regina area is decent, but once you look south of the Trans-Canada Highway, conditions deteriorate. He said organic wheat in the southern part of the grain belt will also likely yield only about half of normal and brassica crops like canola and mustard are very susceptible to heat damage. Further east in Yorkton, Sask., Scott Shiels, grain buyer for Grain Millers Inc., said organic crops in his immediate area could use a bit of rain but should come out all right. Like Neufeld, he credited healthy subsoil moisture reserves from last year for saving fields. Shiels said Grain Millers in Yorkton is experiencing an exceptionally busy summer for organic oat sales during what is normally a slower time of year. He added that his previous predictions for one million bushels of organic oats carryout into next year probably aren’t going to hold up. “I don’t think it’s going to be anywhere near that with the surge in demand,” he said. As well, he expects good numbers from the new crop currently in the fields. One of the big stories this year though, is how high organic wheat can climb, he said. While talking to other analysts in the industry at a recent conference, Shiels said many of them predicted the price for organic wheat might top out at its present level of C$18. “But I don’t know if that’s the case yet, especially on the organic side. I wouldn’t be surprised to see upwards of 20 bucks in the near future. Richard Reimer at Growers Direct in Winnipeg said he’s also been surprised at the strong demand just ahead of harvest and believes the dry conditions will have little impact on yields. His company buys mostly from Saskatchewan and Alberta and he expects only the worst-hit fields in the south to face losses. However, he said, he is experiencing problems with sourcing. He said demand for organic peas is strong and he expects wheat to remain near the top of most buyers’ wish lists as well. Laura Telford, Manitoba Agriculture organic sector development specialist said while there might be shorter crops in fields in southern Saskatchewan, Manitoba is looking good thanks to timely rains. She said organic livestock producers are content, thanks to some organic fields from 2016 that weren’t harvested until this spring. “From what I’ve heard, the livestock guys are pretty happy,” she said. She added that buyers’ storage bins may be starting to empty because prices for organics have been rising lately. As well, they may be trying to entice crop out of farmer bins by raising bids. 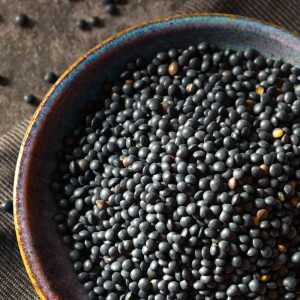 Back in Saskatoon, Neufeld said he’s is currently seeing big demand for black lentils and brown mustard. 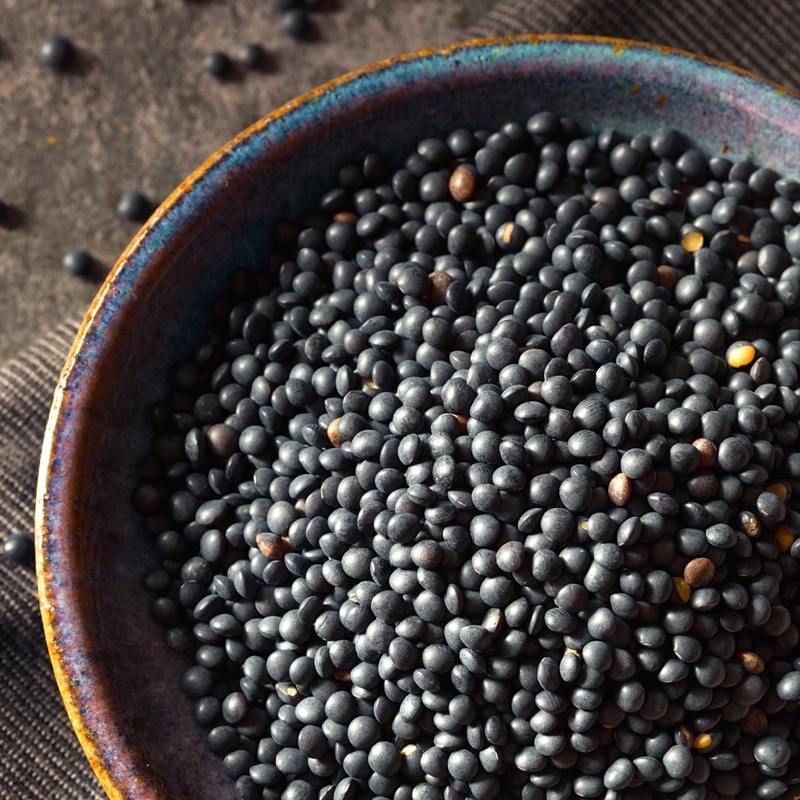 With black lentils selling for 90 cents/lb., growers might be convinced to sell, but he warns that they have to wary of contamination by glyphosate that might have drifted in from neighbouring conventional fields. The black lentil market is mainly to Europe and tolerance levels for any glyphosate are extremely low there. Neufeld and other dealers also report stronger prices for organic flax right now, at about C$37 per bushel for good quality brown flax and about the same for golden flax, although one buyer was offering C$48 for golden, C$52 cleaned.